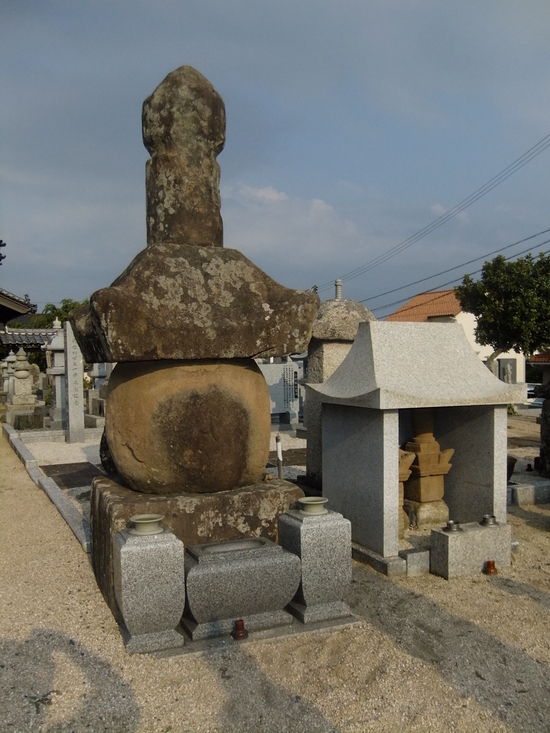 This was the shrine of Hirata village resident Omura Washiro Shigetoshi who had such a deep connection to the woodblock prints (Now owned by Mr. Kashiwagi of Daikonshima, Yatsukacho, Matsue City) of the 42 Bay pilgrimage koritoriuta (book of songs) . The shrine can be seen with slightly varying names in the Fudoki and the Engishi official shrine guide. However, the Omura clan, responsible for the development of Hirata, had a history of enshrining Umi jinja as a guardian shrine and a Kumano Gongen shrine. According to the Unyoshi, written in the middle of the Edo period , Umi jinja in Hirata town was enshrined in Kumano shrine along with six other shrines such as Sekodaimyou, Daimyoujin and Tenjin. Under the organization of the Meiji Period State Shinto, Kumano Shrine was unavoidably and contemptuously forced to undergo a name change to that of its co-enshrined Umi-jinja. Omura Washiro got the understanding of the shrine priest Mr. Kawase and also the collaboration of Mr. Izumi Rinichiro who contended that Ishigami jinja in Shiotsu was actually Umi-jinja. In Meiji 14 (1881) a petition was submitted to the Shimane Prefectural Government to declare the Hirata shrine as Kumano-jinja and the Shiotsu one as Umi-jinja, the request was denied. 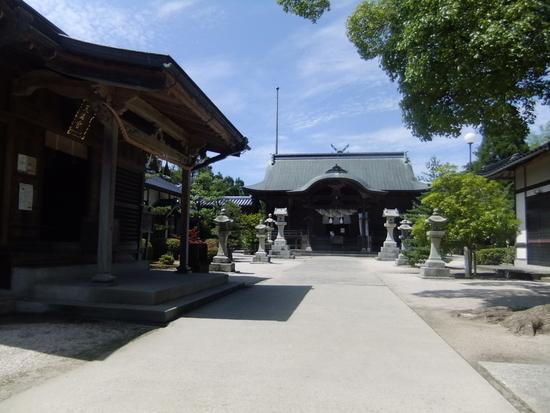 Currently, the Hirata shrine is officially Umi-jinja but in the hall of worship there are two signs hanging amiably alongside each other, one 'Kumano shrine', and the other 'Umi shrine'. Incidentally, there is an inscription for Senge Toshizane of Izumo Oyashiro in the former granite Torii gate displayed to the left of the entrance to the shrine precincts. 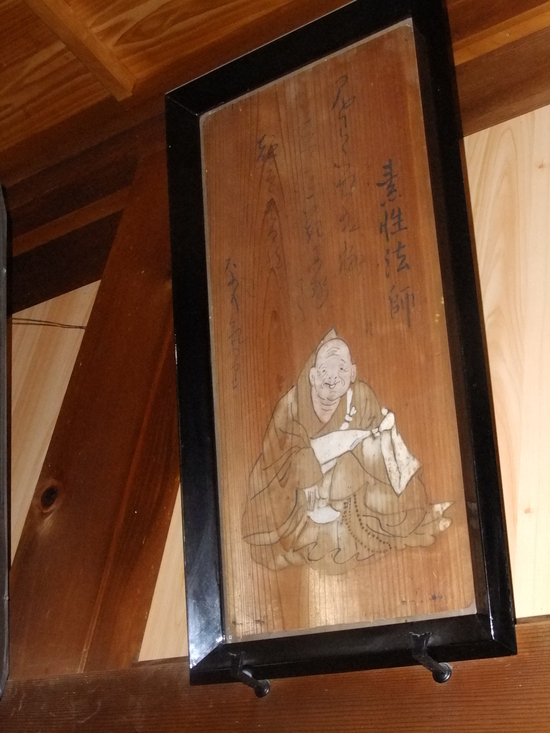 Within the shrine precincts, on display in the hall of worship is artwork on a cedar board commissioned by a shrine parishioner to a Kyoto artist of the famous 'Sanjurokkasen' (Thirty six immortals of poetry) . Rising up from the rings of the cedar are poems and songs by the likes of Ono no Komachi. Just imagining the world of such elegant performances is a wonderful thing. The lives of Izanami and Izanagi are enshrined and it is reported that the number of worshippers visiting to ask for prayers for marriage are increasing. Within the grounds of Umi-jinja is Hirata Tenmangu shrine. During the Edo era, prayers were offered at Tenmangu for protection from epidemics. Every summer, children parade omikoshi shrines, the festival said to have its origins in giving prayers of thanks for the safeguarding. Myths and historical figures are often featured on pottery and ceramics. 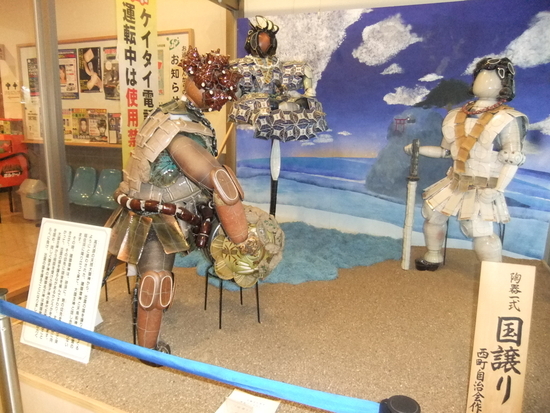 A complete set produced in Hirata which depicts the legend 'Ushiwakamaru and Benkei' is on permanent display at the National Museum of Ethnology in Osaka. The prayers for thanks event takes place in addition in nearby Hikawa and Shinjiko, but also seems to be practiced up and down the country, too. Hirata produces a traditional confectionary called 'ginger sugar' made from ginger from Hikawa town. Going left from Umi shrine takes you to Fuugetsudo, a shop selling bother seasonal traditional and western confectionary. Pay a visit there after worshipping at the shrine.